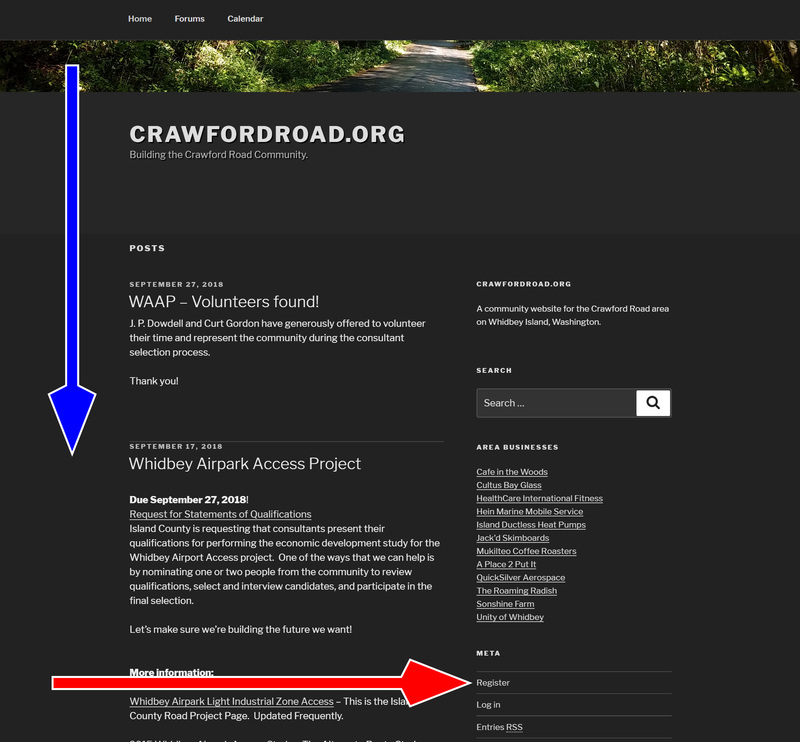 Why should I register with CrawfordRoad.org? We protect access to our forums using user accounts. Many of our neighborhood forums are for discussing issues particular to our specific location, and we want people to be able to articulate how they feel about an issue in a semi-private space. You need to register to see the forums. Scroll down and click “Register”. 2. 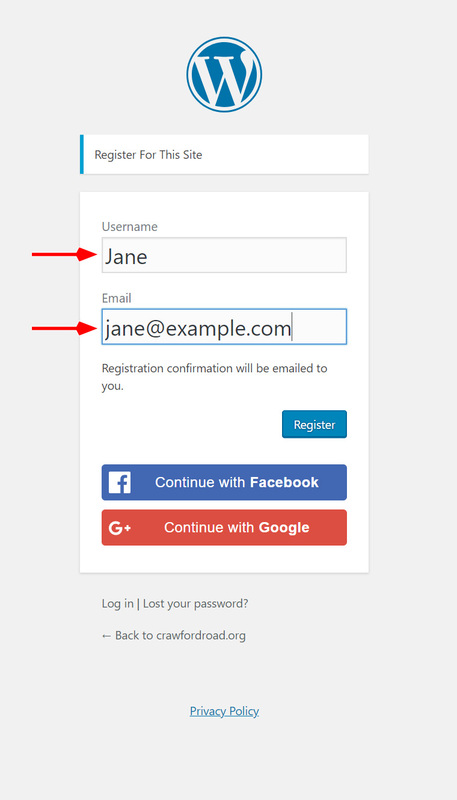 Enter the username you’d prefer to use, and your email address in the form, then click “Register”. If you have a Facebook or Google account, you can use them to login, if you’d prefer to do that. 3. A registration email will be sent to you. Depending on your mail client, it may look slightly different than the picture below, but it will have a link in it. Click that link (indicated by red arrow). Your registration email will look something like this. Click the link to set your password. 4. Pick a password. Choose a strong, unique password, or use a password manager. 5. 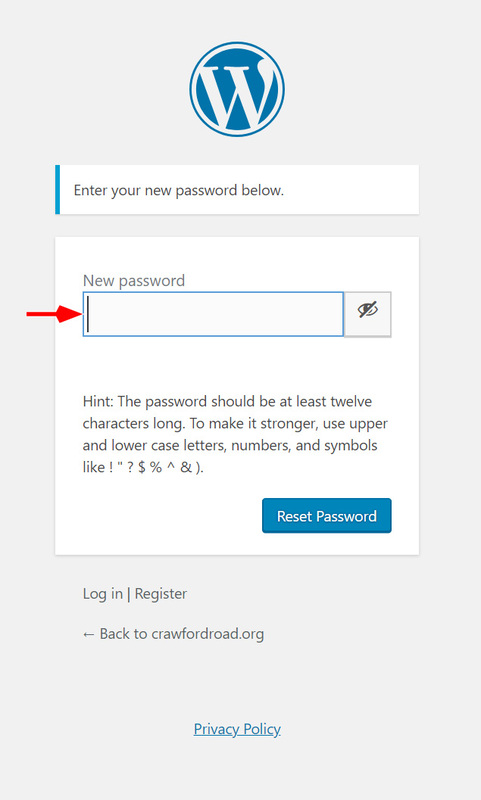 Log in using your username and password you just created. If you click “Remember Me”, you won’t have to log in each time you visit the site. 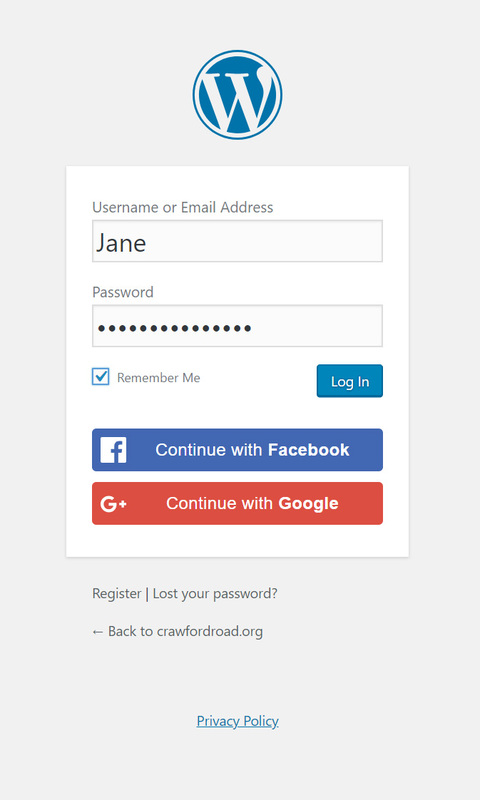 Log in using the information you created earlier. 5a. 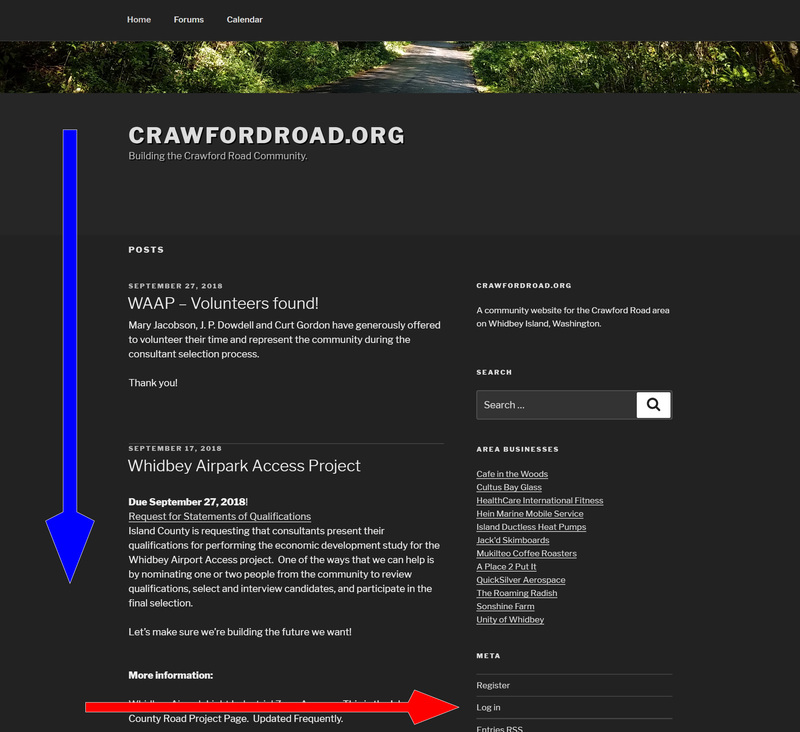 Alternately, you can go to the home page and scroll down (blue arrow) and then click “Log in” (red arrow). You’ll be directed to the login page, above.